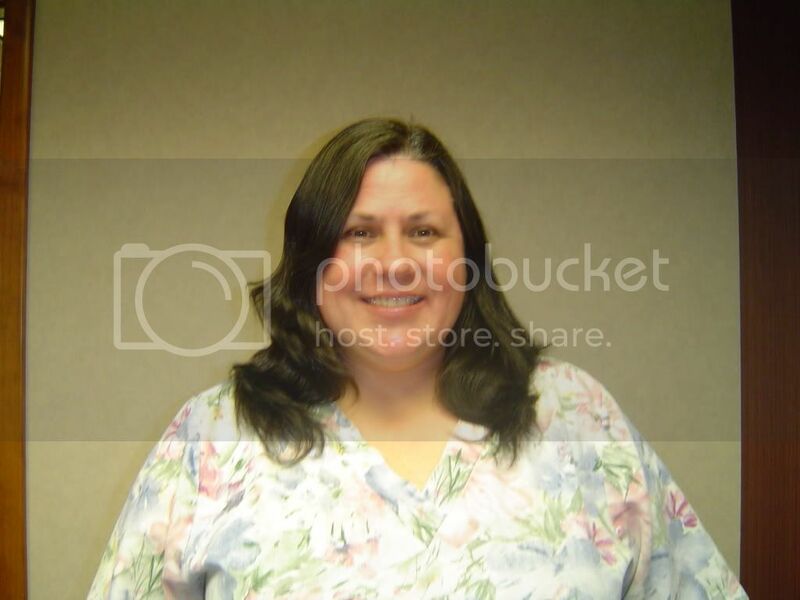 I got a chance to play with the new digital SLR from work this week. Since I need to learn how to use it, I figured that taking a few pictures in the garden would be my best bet. After all, I've photographed the garden so often that it should help me gauge my skills with the new camera, right? Well, I learned two things. First, that the camera goes way beyond my point-and-shoot experience, and I am going to need to read a book so I can get the most out of its capabilities. And two... that my nasturtiums are finally blooming! These late-planted 'Moonlight' climbing nasturtiums never did scramble up the chainlink fence like they were meant to, and honestly I had forgotten about them. It was a fun surprise to see them peeking out of a pile of beech leaves. There's no hiding the blooms on my brave little alpine strawberries, which line the driveway and provide groundcover around some ornamental grasses and raspberry bushes there. I am unlikely to get any more juicy berries, but the sweet little white flowers are refreshing. And I did enjoy the sweet-tartness of two strawberries (and one raspberry) bursting on my tongue last week. Small fruit ripening in November... amazing. Not so good-tasting are the acid-yellow leaves of the incorrectly named 'Golden Delicious' pineapple sage. I enjoy chewing on flavored herbs while I walk the garden, so on a whim I tried these one day in August... bleeeech. It was like chewing plain old unflavored leaves--and rough leaves, at that! It's very pretty, but I feel that if a plant is supposed to be edible it really ought to have a taste, like my reblooming 'Hopi Red Dye' amaranth. (Which tastes like spinach.) So I may go back to the plain old pineapple sage that I usually grow. Flowers are still going in the front yard, too. Here you can see exactly why you shouldn't necessarily plant nicotiana sylvestris in a highly visible part of your garden: the leaves, flower stems, and flowers attract bugs, and their stickiness traps the bugs that come around to visit. The nighttime scent is amazing, though, so I'm planting them on a less obvious corner of the porch next year. Last but not least, all three of my 'Paprika' achillea are absolutely covered in flower stalks and buds! The first blooms of this reflowering bent the stalks over into the sedum and heuchera, as you see here. The exact colormatch of the heuchera leaves and the 'Paprika' flowers was not really planned--I don't particularly like actual "matching," either in the garden or in my wardrobe--but it looks okay enough together, I suppose. Dark purple leaves elsewhere in the bed and the visual weight of the nearby rock keep it from being "too sweet" for me. All in all... much more than I expected for mid-November, especially after a few light frosts! In fact, it looks more like October around here, with some trees sporting green leaves and the oakleaf hydrangea just starting to color up finally. I wonder if our extremely late snow over Easter weekend is responsible for shifting the whole growing season back a few weeks. Anyone know if that could still be possible? Maybe not, but I feel like it should take some of the blame--er, credit! **Edited to add: I was remiss to not mention this originally (excited about my nasturtiums--sorry!) but Garden Bloggers' Bloom Day is the brainchild of Carol over at May Dreams Gardens. On the 15th of every month, garden bloggers post about what's growing in their neck of the woods... click here to visit Carol's November post and scroll through the comments to see who else has posted their bloom list! Lots of good stuff there, Kim! I forgot to list my grasses. Guess I'll need to go add those! I always forget those! That's an intersting theory... if the late spring shifted the entire season. Here we've had a killing frost, but it seemed like it was later. I'd have to check my records. Anyway, whatever the reason, you have a lot of blooms for November in the midwest! Thanks for posting them and participating in bloom day. My blooms are up too if you're interested! My goodness, Kim--you certainly have a good number of blooms left. I hope your mild weather continues so you can enjoy them a bit longer, at least! That 'Hopi Red Dye' amaranth is one of my favorites too, even though it self-sows everywhere (for me, anyway). At my previous house, when I saw seedlings from my plants coming up in road cracks almost a block away, I knew it was time to move. kylee, you have quite the list, too! I always forget a few somethings, myself. This month, it was Japanese anemones AND my 'Merlot' echinacea. Carol, thanks for hosting bloom day--and I am sorry that I forgot to put a link to the original GBBD in the post. I'll have to go back and edit that in. 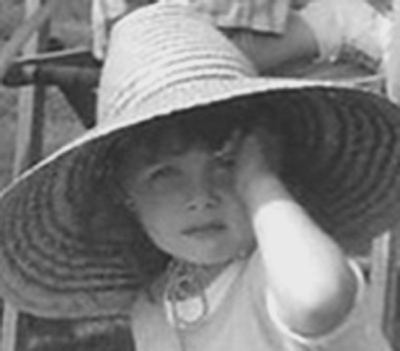 yolanda elizabet, yesterday was MY Mom's birthday! Those nasturtiums sure are sturdy, and I had a few self-seed from last year. This was the first time I tried the "climbing" ones, though--I think next year I will be planting them in my big urn to trail over the side instead of making them try to "climb." lol. 'Hopi Red Dye' is one of my favorites, too. This is the first year that I've let some of the later-sprouting seedlings grow and I really like the way they look flowering low to the ground like the one in this post. Of course, I like the towering ones, too! That's a pretty impressive collection, considering where you garden, Kim. The little alpine strawberry is sweet---I think it's my favorite. It cracked me up to think of you browsing your way through your garden. If you were in deer country, I wonder if you'd agree with their tastes, or if they'd agree with yours. You could still nibble on regular old pineapple sage and basil here - but it won't be around for long, Kim! 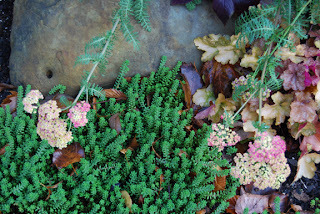 And how dare those achillea and sedum blend colors instead of contrast! 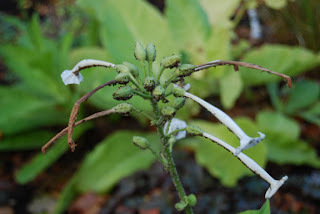 I'd love to grow Nicotiana syvestris again and will remember your advice to keep it out of the spotlight. I never did think up a comment for your fencing post because we never solved the privacy-light-view dilemma in our 3 Illinois gardens, fences weren't allowed at the last house and this neighborhood was all 6-foot board fences when we moved in. Good luck to you in figuring out what to do in your patch of earth. Annie, I know--how dare it?! I wanted it to just kind of match, not really match. lol. The nicotiana leaves are nice in terms of texture--relatively wide, and lighter green. Unfortunately they are just as covered in bugs as the flowers, though. The fencing issue is a real conundrum, isn't it? Good fences make good neighbors... but as someone pointed out, so does actually being cordial with your neighbors. Add all of the facets of aesthetics and it all feels a bit beyond me sometimes. perhaps the season shifted due to the late freeze, but I'm sure the gradual effects of GLOBAL WARMING are having an influence as well. Your gardens are lovely, by the way. Once you learn to use that SLR, you are going to love it! (I wish I had a digital SLR.) Or maybe you shouldn't get to attached to it if you have to borrow it from work. Cameras do make nice Christmas presents. Enjoy your extra-long bloom season, it'll all come to a crashing halt soon. I love the amaranth photos. Such a perfect fall color. I'll second the global warming comment. My favorite song on a CD called Cows with Guns by Dana Lyons: Swimming in the Big (Egyptian river... de Nile), "The weather's getting better... a little warmer every year!" nice list! I wonder what we'll all list come Dec 15? A nice lot of blooms..no frost for you yet? I grew that 'Moonlight" nasturtium this year, and enjoyed the paleness of the flowers. I love alpine strawberries--I have the white berried kind that I grew from seed. It fruits even in light snow! BUT mine attracts japanease beatles like you wouldn't believe. The only down fall to it. 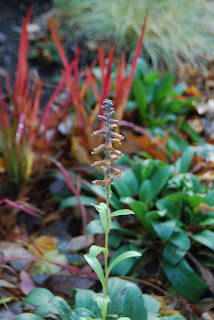 I love the bloodgrass behind the penstemon? in the last photo. I wonder if sometimes you sub-consciously plant things with matching or complementary color combos? Hey, you're supposed to be colder than we are yet you have a lot of things still blooming. I haven't seen much except trees and shrubs turning and was busy indoors so I didn't put up bloom day photos. Maybe I should take a better look outside. A terrific selection of plants still happening for you, Kim! I didn't count my grasses--although the miscanthus still look great, but most of the rest of them got beaten down by the wet snow on the weekend. I laughed at your description of the D. parviflora bloom as being wimpy--mine stopped flowering about a month ago, deciding it was going to be sensible I guess. I hope it comes back because I really, really like it. Wow - you have alot blooming for this late in the fall season! 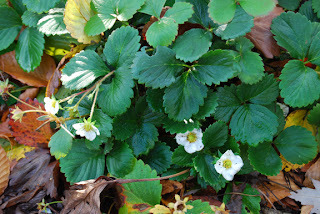 Those alpine strawberries - I planted some last spring, and have historically had strawberries die out during our hot summers - but these seemed to do really well, so I'm thrilled - they're happy and forming runners, just like what strawberries are supposed to do. I have increased strawberry hopefulness. Now regarding your theory (the late snow), I just don't think so (but what caused the late snow could contribute, if that difference makes any sense at all) - but it's late and I've been working on a grant so I can't come up with an intelligent reason why not, but I think I have one, somewhere. If I'm lucky, and remember it, I'll return and share it with you. healingmagichands, thanks! But I'm afraid that you're right on the global warming. One of my friends around here has a theory that GW is shifting all of our seasons late, in fact. lisa, we did have a couple of evenings in the 20's but then it warmed up again. Probably just stunned the poor flowers... lol. Connie, we've had frost but very light and patchy. The neighbor's cherry tomato plants have even emerged unscathed from the light frost and a few nights in the 20s! Very weird. Cindy at Rosehaven, I hope to get to that point some day! I literally hate the feeling that I'm not smart enough to get this tool to perform as well as it is capable of performing, if that makes any sense. Nickie, oooh... white berried ones? Do they taste just as sweet as the usual red? I bet they're very pretty. And I hope that mine fruits as long as yours do... but that those ugly bugs you mentioned stay away! Ki, that's actually the Spanish foxglove (digitalis parviflora) in front of the bloodgrass. The bloom stalks are usually much heaftier and the same lovely dark green as the foliage--hence me referring to them as wimpy this time around. 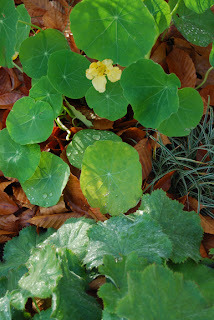 :) You should definitely go out and take a look around, as you may be as surprised as I was by my nasturtiums! Jodi, I wavered about counting my Northern Sea Oats and my 'Hameln's because they are so close to being "done"... but my zebra grass just recently began blooming, and my panicums are just now starting to show a few blades of fall color so I figured what the heck. *grin* FWIW, the d. parviflora have been with me for three growing seasons now and have been reliably perennial. They are in well-drained soil but have been moved at least once each year, poor things! Pam, I have some strawberry hopefulness for you, too... and these alpines are lovely so I bet you grow to love them. I didn't want to deal with a huge "strawberry harvest" but adore being able to much on a handful of berries while I'm out grazing on herbs and weeding in the yard. Sometimes I even share them--the dog will steal tomatoes and eat green beans right off of the plants, but she waits for me to harvest the strawberries for some reason, and then begs. lol. I've had my digital SLR for a few years and have yet to find (make) time to actually l earn how to use it. I get decent shots, but know that I've got a lot to learn and that's one of my big goals this winter. My nasturtiums are going nuts right now. Though last night's snow will probably take care of that right quick. I could have sworn I left a comment earlier, but I don't see it now - more Blogger weirdness? Anyhow, I wanted to ask about the grassy thing next to the nasturtiums - is it Liriope by any chance? I can't grow Nasturtiums. I was discouraged by the aphids on them, but seeing yours makes me want to try again. Kelly, that makes me feel better--I don't feel like I "know" mine (work's) any better for having played with it in the garden, even. Especially after seeing the pictures and knowing what it should have been able to do with them! I can't believe you guys got visible snow down there, by the way. None for us just north of you... yet! Entangled, Blogger HAS been weird lately, hasn't it? I have had the same experience with missing comments, and Ki mentioned something about that on a previous post of mine, too. The grassy thing that's almost buried in beech leaves is actually a small little carex. I didn't even have a place for it in mind when I bought it--it was just too cute to pass up. You can see it better in this older post. Kim, thanks for the info on the Carex. It looked a lot like the Silver Dragon liriope I planted this year, that's why I wondered. entangled, 'Silver Dragon' is the liriope that I have, too! I had wondered if that's the one you were wondering about. lol. You have tons of stuff still blooming and growing! Mine will all bite the dust tonite. And as for projects not completed,..........ah well, I am thankful anyway. My theory is that the dry summer and warm October had the most to do with our late and extended fall. As much as I love Point and Shoot Cameras (I use them all the time) I wouldn't trade my DSLR for anything. The ability to change lenses and the fact it is eye to viewfinder photography is nice, for me. I definitely recommend the manual, I still study mine, and setting up the menus to what you like. I didn't like my camera 'out of the box' but after setting up the metering, color space and autofocus it is the best.